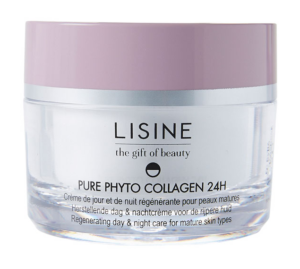 The PURE PHYTO COLLAGEN line is without a doubt the most spectacular and advanced anti-wrinkle treatment thanks to two high highly biotechnological ingredients. These two patented active substances are Hyaluronic FILLING SPHERESâ and Argirelineâ or Acetyl-hexapeptide-8. Both ingredients have a strong anti-wrinkle effect, but the effect of each is totally different so that they complement each other perfectly. Hyaluronic FILLING SPHERES penetrate deep into the skin and absorb the trans-epidermal moisture loss. In so doing they increase tenfold in size so that the wrinkles are filled up and pushed to the outside. This substance is also present in the Express Wrinkle Filler serum. Argireline (Acetyl-hexapeptide-8) in contrast, concentrates on expression wrinkles. Expression wrinkles are created by the contractions that we make with our face muscles when we laugh, when we frown etc. Over the years, these expression wrinkles get longer and deeper. Argireline slows down the excessive contraction of our face muscles so that existing expression wrinkles are reduced both in length as well as depth and it blocks the further formation of expression wrinkles. 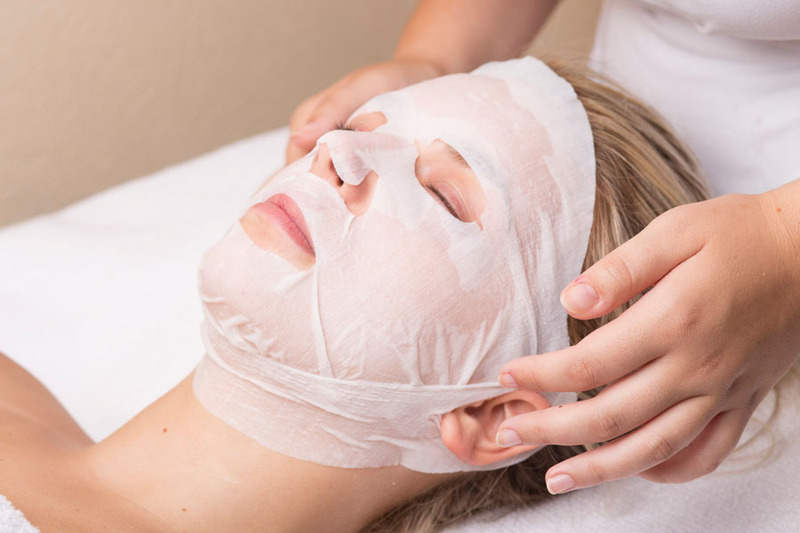 This substance is also present in the Total Skin Rescue serum. Thanks to its specific cutting form it gives an immediate tensor effect! 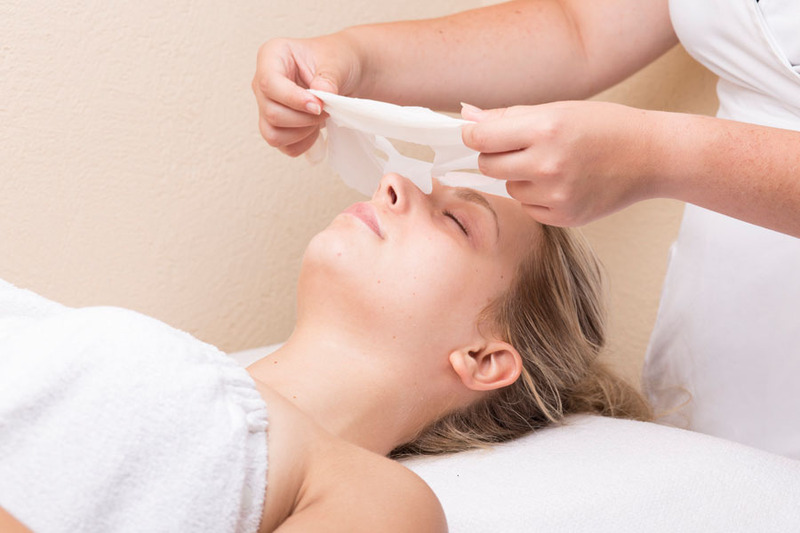 This tissue mask has ear hoops to preserve, maintain and strengthen its lifting effect. 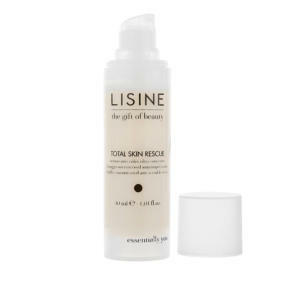 This tissue mask is impregnated with a serum rich in collagen that helps the skin to keep its hydro-lipidic balance. 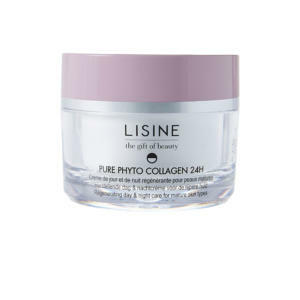 Thanks to its regenerating power, the collagen regulates the skin’s elasticity. To benefit from this treatment, contact the nearest Lisine partner institute and enjoy a high quality anti-aging treatment!